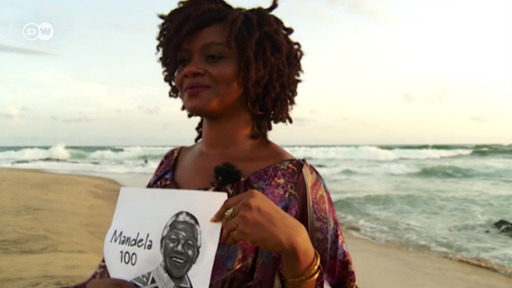 Aicha Macky from Niger: "Nelson Mandela is a man of peace"
36-year-old Aicha Macky is a founding member of the youth organization "Yali Niger." Here's what she has to say about Nelson Mandela. "Nelson Mandela is a man of peace"
Nelson Mandela would have been 100 years old today. South Africa's famous statesman and reconciliatory hero continues to inspire Africa's young generation. DW asked them what Mandela means to them.